Responsible to support the Project Manager (PM) with the overall performance of the FOSS contract and daily, weekly, and monthly reporting as required. Implement and maintain a quality control system that identifies and corrects potential and actual problem areas throughout the entire scope of the contract and PWS. Monitor the Quality Control System (QCS) and update the plans as changes occur. Be directly accountable to the Project Manager or SOI Corporate Management with all aspects of the QCS and provide timely updates of any issues as they occur. Develop methods to identify Quality Control corrective actions necessary and track the implementation and completions of these necessary corrective actions. A Bachelor’s Degree in Engineering or related technical field preferred. A minimum of 10 years of relevant experience required. A minimum of 5 years of experience with US Government contracting required, preferably with US Army and/or Air Force contracts. Experience with workflow tacking using Primavera or MS Project software preferred. Excellent communication skills and experience with Microsoft Office product suite essential. Experience with US Army base operations and maintenance work orders highly preferable. Must possess and maintain a Secret Security Clearance. 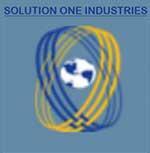 Solution One Industries, Ltd (SOI) serves the Federal, State, Local and Prime sectors by delivering management, training and logistics experience to enhance the technical, logistics support, and service capability of its clients. We offer support services which include; Technical Assistance, Training, Administrative, Logistics Support, Facilities Services, and Professional Management. We have established a track record of success by meeting or exceeding all work performance to standards while operating within finite budgets. SOI has been providing administrative and management support, including engineering services, document management, base and logistics support services support to the Department of Defense (DoD), State and Local Governments, other federal agencies and commercial enterprises for the last 8 years. Provide our clients with the best possible solutions to bridge gaps between desired and current positions, through effective use of available resources while executing well-conceived action plans. Employ the right mix of talent for our teams, technologies, innovative and tested approaches, and communication strategies to fit our client's needs. Ensure that implementations occur as planned. In short, we are proactive, and we do the right things for our clients. Our total quality management focus is on meeting and exceeding our clients' expectations.